Protestors demonstrate against U.S. bases in Okinawa in front of the Okinawa prefectural government offices, in Naha, on the southern Japanese island of Okinawa May 4, 2010. 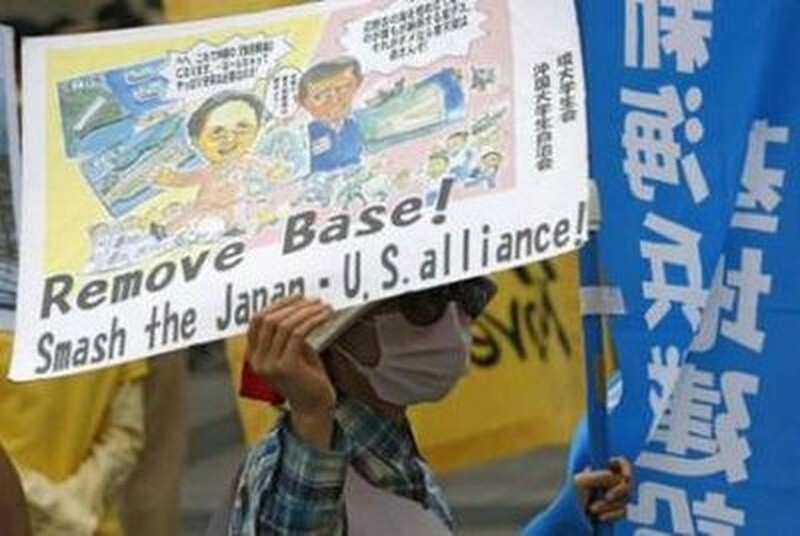 Japan's Prime Minister Yukio Hatoyama on Tuesday abandoned a plan to move an unpopular US airbase entirely off the southern island of Okinawa, backtracking on a key election pledge. "I really feel sorry as I visit here today that I must ask for the Okinawan people's understanding that part of the base operations would have to stay" on Okinawa, Hatoyama told reporters after meeting the local governor.